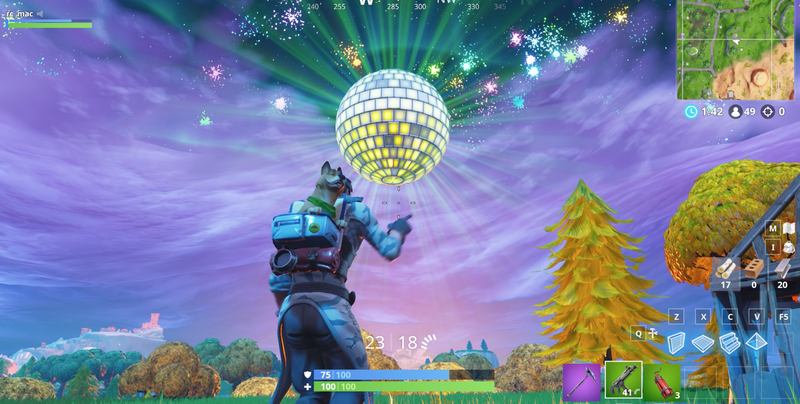 It’s starting to be 2019 around the world, and Fortnite’s in-game New Year’s party has begun. Some players were surprised to see a New Year’s ball drop when it wasn’t New Year’s in their time zone. Hints of an in-game Fortnite event for New Year’s leaked earlier in December, but now we get to see it in action. Reports of the event began around 5am ET. Every hour until it’s officially 2019 everywhere, a rift will appear in the sky. A giant disco ball reminiscent of the famous ball in New York’s Times Square appears, and a crowd can be heard chanting down from 10. When the countdown gets to zero, fireworks explode and music plays, causing players to dance for the duration. The ball then explodes in a burst of confetti, and fireworks spell out 2019 in the sky. Sorry about my FPS counter and Shadowplay UI, I don’t know why they recorded. Honestly they’ve become invisible to me at this point. This event confused some Fortnite players who play the game in parts of the world where it’ll be 2018 for many more hours. “2019 NEW YEAR LEAKED!?!? !” one player tweeted. “Happy New Years early I guess,” another wrote. “I was in the battle bus when it happened,” another player wrote about the event on reddit. 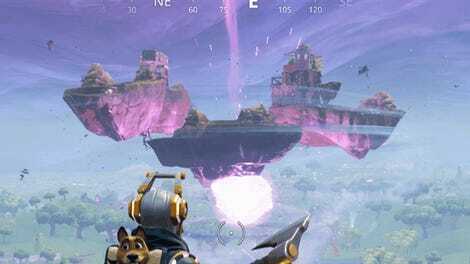 “I was so confused because a giant rift was opening in the sky.” Others speculated that it was a test for the event or a scheduling error on developer Epic’s part. Epic vice president Mark Rein eventually tweeted to remind people that New Year’s had already begun in certain countries. 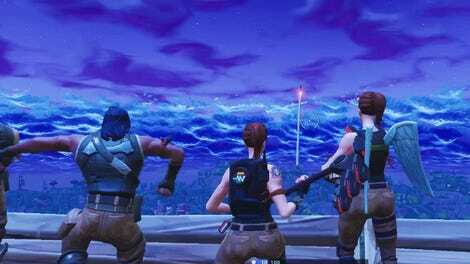 Some players had been hoping that Fortnite’s big events will be programmed to stop people from scoring cheap kills, given that previous events have had problems with griefers killing those who’ve gathered to watch. Epic obliged this time. Because players are forced to dance during the pinnacle of the event, no one can kill anyone else in that moment and cause them to miss it. Given the ball’s resemblance to Fortnite’s dance-causing boogie bombs, dancing, rather than disabling weapons or taking players into a cutscene, was a nice choice. Getting to see the event every hour is great for people who have plans at midnight, or old people like me who have no intention of staying awake until midnight for anything. Plus, it’s fun to get to celebrate New Year’s with Fortnite players around the world—at least until the ball dissipates and they eliminate you.